MANILA, Philippines - In September 2013, Rappler launched Project Agos, a collaborative platform that combines top-down government action with bottom-up civic engagement to help communities learn about climate change adaptation and disaster risk reduction (CCA - DRR). The project harnesses technology and social media to ensure critical information flows to those who need it before, during, and after a disaster. Since then, Project Agos has been working with various government agencies, bilateral and multilateral groups, civil society organizations, the academe, and private sector partners for its various initiatives. Recently, Rappler and Ateneo de Manila agreed to merge Project Agos with Ateneo's eBayanihan in order to come up with a more robust disaster information management system that taps into the respective strengths and communities of both platforms. Following this merger, both platforms are now in the process of converging into the Agos powered by eBayanihan platform or Agos-eBayanihan. On Twitter, @projectagos is now @agos. Visit rappler.com/agos for updates on this merger. In the past years, Australia’s Department of Foreign Affairs and Trade (DFAT) has supported various scientific agencies, called the Collective Strengthening on Community Awareness on Natural Disasters (CSCAND) and civil society organizations with advocacies in CCA-DRR in the Philippines. On October 8, 2014, the partnership between Australia-DFAT was launched through a forum entitled,“Making #ZeroCasualty a Reality.” The partnership enables Rappler to expand the features of the Project Agos platform, launch capacity building workshops in 8 regions and produce stories and initiate conversations that would help the general public understand hazards, mitigate risks associated with such hazards and prepare for disasters. The agency also helped Rappler work with agencies it supported in hazard mapping efforts. The United Nations Development Programme (UNDP) partners with people at all levels of society to help build nations that can withstand crisis, and drive and sustain the kind of growth that improves the quality of life for everyone. The UNDP was a key partner in PH+SocialGood in 2012 and 2013. In July 2015, UNDP and Rappler agreed to work together on a series of initiatives that will fuse innovation, social media, and technology for development. The World Food Programme is the food assistance branch of the United Nations and the world's largest humanitarian organization addressing hunger and promoting food security. Rappler is working with UN-WFP in #HungerProject, which began in 2012.. Since disasters often trigger food insecurity, the two organizations are in process of fusing efforts to promote #ZeroHunger & #ZeroCasualty. The NDRRMC is responsible for formulating a National Disaster Risk Reduction and Management framework which will serve as a guide to DRRM efforts in the country. It is also tasked to prepare for, and respond to, natural calamities, like typhoons and earthquakes and human-induced emergencies such as armed conflicts and maritime accidents. 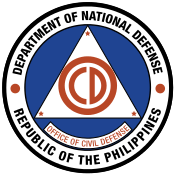 Rappler works with the NDRRMC to promote disaster preparedness and mitigation through its various member agencies, particularly the Office of Civil Defense (OCD), the Department of the Interior and Local Government (DILG). The OCD is responsible for ensuring that disaster risk reduction and management (DRRM) plans made by the NDRRMC are implemented in the national and local level. During disasters, Project Agos sets up a satellite operation center at the OCD. Volunteers are welcome to help monitor social media for calls of help and rescue. The information will then be relayed to OCD for immediate action. DILG is the agency in charge of monitoring local government units in the country and making sure that there is coordination among the public, the local officials and the agency. Rappler works with the DILG, particularly through its Central Office Disaster Information Coordinating Center (CODIX), to finetune the design of the Project Agos capacity buildings workshops. On September 21, 2014, Move.PH, Rappler’s civic engagement unit, held the first Project Agos capacity building program for officials and employees of DILG-CODIX and Patrol 117, which operates nationwide emergency hotline number 117. AFP is the agency responsible for ensuring public safety from international and local threats at all times. It is composed of the Philippine Army, the Philippine Navy and the Philippine Air Force. Military units usually lead rescue and response operations during disasters. Rappler has been working with various units of the AFP to integrate the Agos Alert Map into the military’s incident command system for disaster response. NYC is the government agency in-charge of youth affairs. It is responsible for formulating policies that will protect and empower young Filipinos. During disasters, NYC youth volunteers and officials work with Project Agos to help monitor social media for calls of help and rescue. The Department of Education (DepEd) is the executive department of the Philippine government responsible ensuring quality basic education for Filipinos. The agency will be working with Project Agos on pre-loading stories and materials on computers which will be downloaded in computers for distribution, mapping of school damages after disasters and collaboration on identifying and mapping risks at the start of the school year. In the various regional workshops in held since 2013, Project Agos has linked linked up with local government units in 11 regions to crowdsource reports during disasters. Regional workshops conducted included participants from 30 provinces and 37 cities in Luzon, Visayas and Mindanao. These includes 14 of the 17 cities in the National Capital Region. 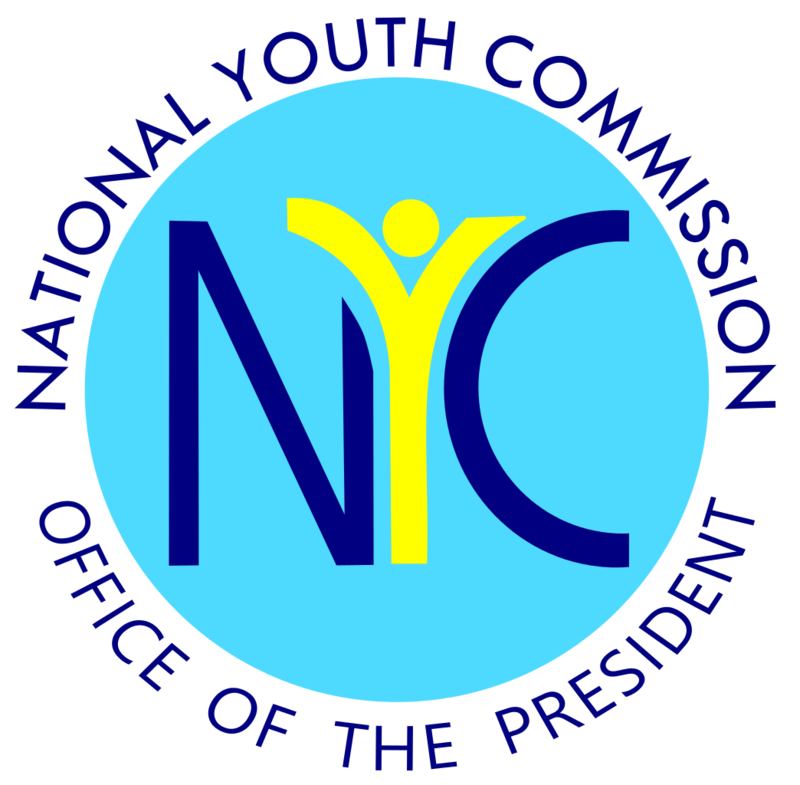 These include the provinces of Agusan del Sur, Albay, Bataan, Bulacan, Camarines Norte, Camarines Sur, Catanduanes, Cebu, Compostela Valley, Cotabato, Davao del Norte, Davao del Sur, Davao Oriental, Iloilo, Leyte, Maguindanao, Masbate, Misamis Oriental, Negros Oriental, Negros Occidental, Nueva Ecija, Pampanga, Pangasinan, Sorsogon, Sultan Kudarat, Surigao del Sur, Tarlac, Zambales. Rappler is working with the MMDA on integrating social media in its disaster monitoring and communication systems. On In July 2015, Rappler CEO Maria Ressa and MMDA Chairman Francis Tolentino signed a memorandum of agreement on Thursday, July 16, making Project Agos the social media and information campaign platform for the exercise dubbed #MMShakeDrill. Rappler has been working with various scientific agencies of the government and the private sector to make the general public more aware of the existence and use of various hazard maps these agencies have produced. It works, in particular with agencies in the Collective Strengthening on Community Awareness on Natural Disasters (CSCAND) agencies, the cluster in the NDRRMC that is involved in hazard mapping mapping. In April 2015, Move.PH, Rappler’s civic engagement arm, held a training on the use of social media and the Agos Alert Map for members of the CSCAND and other groups involved in hazard mapping. Phivolcs is the agency responsible for monitoring geological hazards such as earthquakes and volcanic eruptions in the country. On July 10, 2014, Dr. Renato Solidum Jr, director of Phivolcs, signed a Memorandum of Understanding (MOU) with Rappler, where the agency agreed to share digital versions of hazard maps and other information materials for integration into the Project Agos platform. Project Agos has since done a series of stories related to geohazards including earthquakes, tsunamis and volcanic activity. CCC is the government agency responsible for ensuring that the government has mainstreamed policies and laws related to CCA-DRR. It is one of the original partners of Project Agos in 2012. NAMRIA is responsible for producing base maps used by various agencies to produce hazard maps. It’s geoportal website also hosts geotagged data from various agencies. Agencies. NAMRIA has provided Project Agos with shapefile format of the hazard maps and has been providing helpful feedback regarding the integration of hazard maps into the Agos Alert Map. MGB, under the Department of Energy and Natural Resources, is responsible for ensuring that the country’s natural resources are conserved and are utilized properly. It is also in-charge of monitoring hazards such as landslides and flooding which may arise from typhoons and earthquakes. The MGB has provided Project Agos with regional rain-induced landslide and flood hazard maps in shapefile format. These were then integrated to the Project Agos microsite. Pagasa is the country’s official weather bureau. It is in-charge of providing daily weather updates, allowing the public to prepare for possible disasters such as typhoons. Pagasa has participated in a number of conversations on Project Agos that aim to help people prepare for various natural hazards. eBayanihan is a mobile, SMS, and web-based disaster management system that crowdsources disaster-related information as part of preparedness and disaster mitigation. The project was made possible by the Ateneo Java Wireless Competency Center, Ateneo Social Computing Science Laboratory, and the Department of Science and Technology. eBayanihan is a partner of Project Agos. Rappler is now collaborating with eBayanihan on merging technical efforts on a common platform. Real-time weather updates come from www.weather-manila.com, developed by Dr Gerry Bagtasa of Institute of Environmental Science & Meteorology, University of the Philippines, Diliman. Rappler is also currently working with the country’s leading telecommunications companies, Smart Telecommunications and Globe Telecoms, to enable SMS reporting to Project Agos. Weather Philippines Foundation is a private weather information/content provider. On September 30, 2013, Weather Philippines signed an MOU with Rappler. Currently, the foundation provides Project Agos with real-time weather information from its website weather.com.ph. It serves as one of the sources of information on hydrometeorological sciences on Project Agos as well as on #WeatherAlert. Globe is one of the major telecommunication companies in the country. It supports Agos by making it possible for users to report to platform for free by mobile text or short message service (SMS). Seer Technologies was our first technology partner to embrace and address the many challenges inherent in Agos' top-down and bottom-up approach to disaster risk reduction and management in the Philippines. Seer is a software consultancy, design, development and managed-services company focused on mobile, cloud and data technologies. In over 12 years, they have worked with enterprises of different sizes and handled a variety of challenging requirements. They are also an Amazon Web Services (AWS) Managed Partner, which allows them to deliver and manage mobile and web back-end solutions anywhere in the world. Seer helps Agos in integrating SMS in the platform. Smart is one of the major telecommunication companies in the country. It supports Agos by making it possible for users to report to platform for free by mobile text or short message service (SMS). Symph designs and develops for brands and startups, creating awesome things that people love. The Philippine Disaster Recovery Foundation (PDRF) is the country's major private sector vehicle and coordinator for disaster management. Composed of a team of highly committed professionals, PDRF works with field experts and reputable humanitarian institutions to organize and coordinate private sector solutions to disaster management. As the critical link among government agencies, civil society groups and local government units, PDRF provides a systematic and holistic approach in responding to different crisesfrom the period of preparedness to recovery. Backed by the country's largest conglomerates, industry movers and top corporate leaders, PDRF is an embodiment of solidarity that transcends business competition and promotes the common vision to build a strong, resilient and disaster-ready Philippines. Philippine Red Cross is a humanitarian organization which provides Filipinos with services such as Blood Services, Disaster Management Services, Safety Services, Health Services, Social Services, Red Cross Youth and Volunteer Services. When floods ravaged Metro Manila during Typhoon Mario, Red Cross volunteers worked with Project Agos in order to rescue Riza Delgado, a pregnant woman who was already in labor while waiting for rescue at the rooftop of her house. World Vision is an international civil society organization that aims to help the vulnerable sectors such as children, women and the poor. It focuses on health, education, child participation, livelihood, disaster response and child formation. In October 2014, World Vision agreed to work with Rappler in order to fuse educational content with community action nationwide.